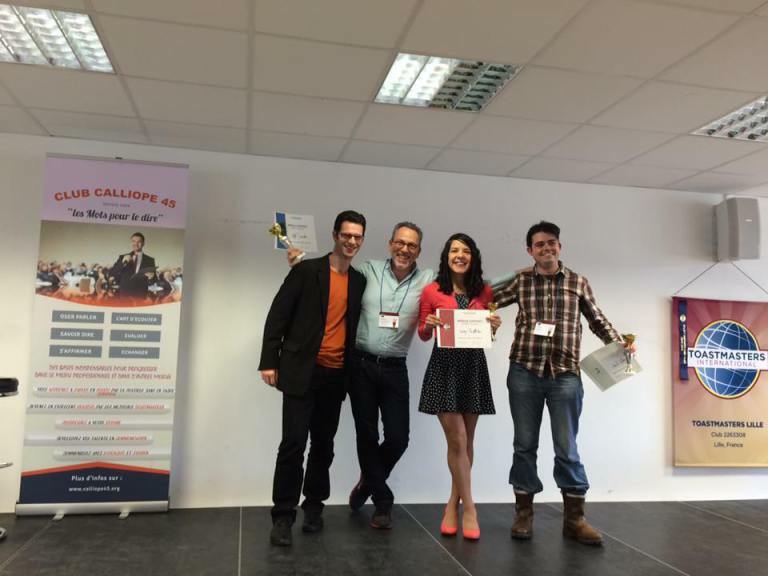 On 23 april, the Lille Toastmasters Club organised a terrific event, everything went well! We were so proud of the core team! Now, Luxembourg, here we come! Our contestants were well-prepared and impressive on stage. There was real emotion with the depiction of traumatising life experiences! The response amongst the public was immediate with real tears. The speeches were very touching when inspiring. And more humoristic when depicting the male-female realities. 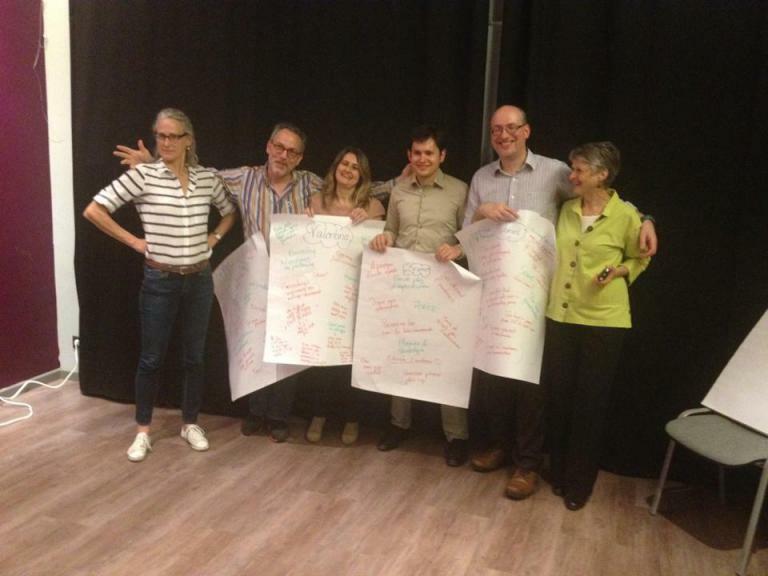 The four contestants: Jeffer London, Valentina Caimi, Bruno Cacciapuoti and Daniel Mouqué with Bess Stonehouse and Anita Sheehan at the Artful Orators in Brussels. Division B takes feedback and mentoring very seriously amidst all the fun. 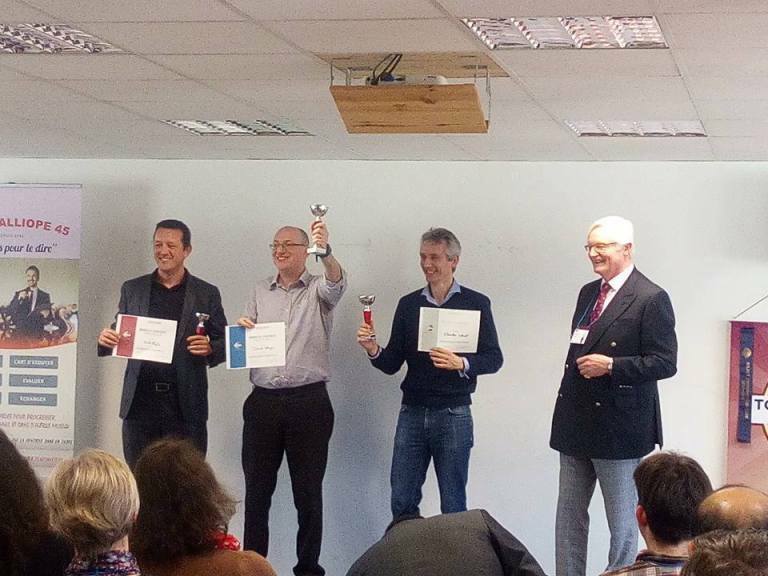 On their way to Luxembourg, the four contestants received on Wednesday 11 May the infamous shower of coaching at the Artful Orators, Brussels’ Advanced Toastmasters Club. The contestants received feedback in English, French and Italian: that’s the stuff champions are made off! Daniel and Jeffer: Break a leg each! Valentina: In bocca al lupo! Division B Spring Conference: the Programme! At some point in your professional life, you will inevitably be confronted with cultural differences that may challenge your behaviour. A faux pas is easily made and can be a serious roadblock to the success of your endeavours. If you understand the culture in which you are conducting business, it will help you to be more successful. Knowing how to handle cultural sensibilities is an essential part of being an effective communicator. 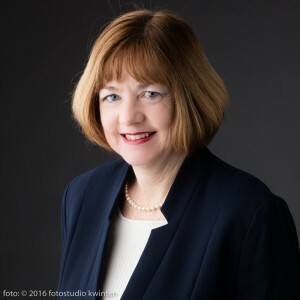 In her workshop at our Division’s Spring Conference in Lille, intercultural relations expert Elizabeth Vennekens-Kelly will outline the major challenges of business and interpersonal communication in a multicultural environment. She will provide recommendations to make your communication more effective and culture savvy. 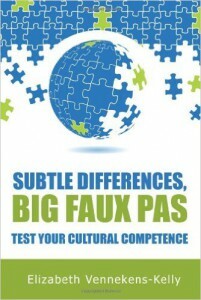 Elizabeth Vennekens-Kelly is an intercultural trainer, consultant, and the author of Subtle Differences, Big Faux Pas. In this cultural guide she helps and encourages individuals to realize the extent of cultural differences and the value in gaining an understanding of the cultures in which they interact. Elizabeth’s goal is to help individuals develop the cultural competencies they need to be successful and to encourage people to make the most of the unique opportunity of living outside their passport country. 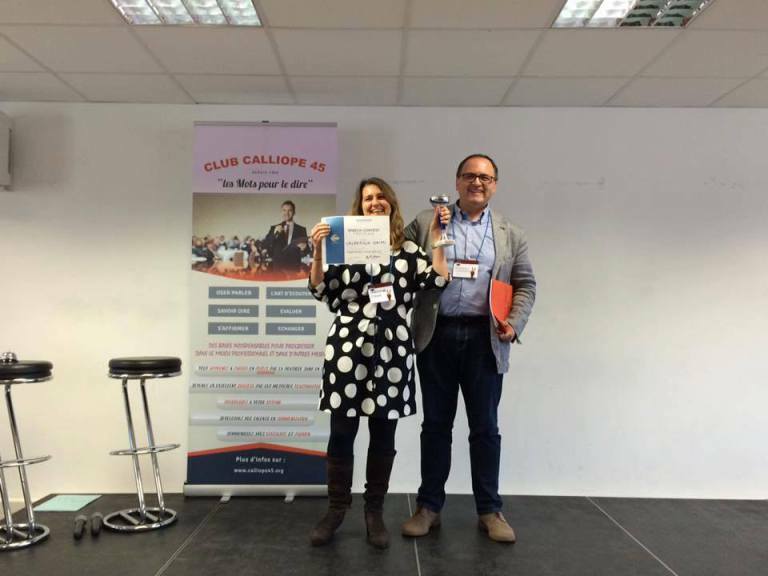 She combines her business experience, familiarity of expat living and intercultural knowledge to help individuals to deal with the complexities of living and working abroad. She trains individuals working in multicultural settings, people who are relocating overseas and those returning home, to effectively interact and communicate in the varied situations they encounter. At the Lille Division Conference, Elizabeth will share a plethora of striking examples in verbal as well as non-verbal communication, from the simplest gestures in everyday life to the noble art of toasting — indeed, even if you are an experienced Toastmaster, you should think of the cultural context in which you are required to propose a toast! Elizabeth will show you how to leverage your cultural competence and be successful in today’s multicultural environment. You don’t want to miss this workshop? Register now! 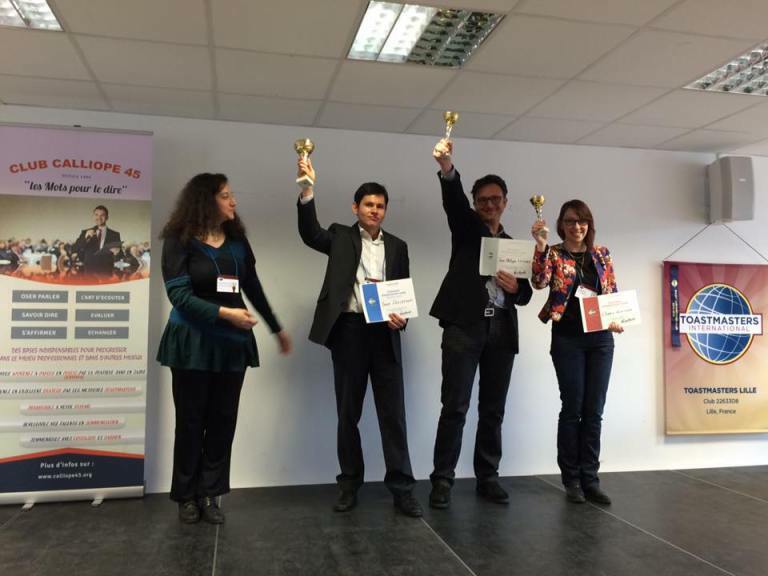 On Saturday 23 April, Lille Toastmasters will be hosting our Division’s Spring Conference at La Grappe, a venue in the heart of the capital of Le Nord. 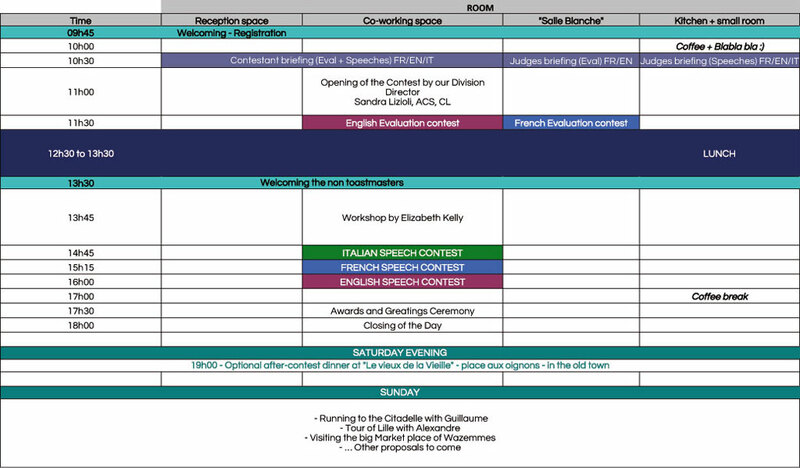 Check out the Conference programme in detail! The entrance fee for the Division Conference is 35 euro. You will find the payment details on the registration form. If you come by car, there are 30 parking slots available in the venue’s underground garage, at 5 euro each. Please indicate upon registration: first come, first served!